So you’ve decided to jump in and move to China! Congratulations! Now what do you do? As you have more than likely heard, China has an extensive firewall set up. A firewall is a virtual ‘wall’ that restricts internet access to sites. Like other Asian countries such as Thailand and Singapore, China is not shy about doing this. In fact, China’s firewall is infamous- often times referred to as The Great Firewall of China. The Great Firewall is officially known as Operation Golden Shield and started as an effort to restrict the ability of oppositional parties in China. 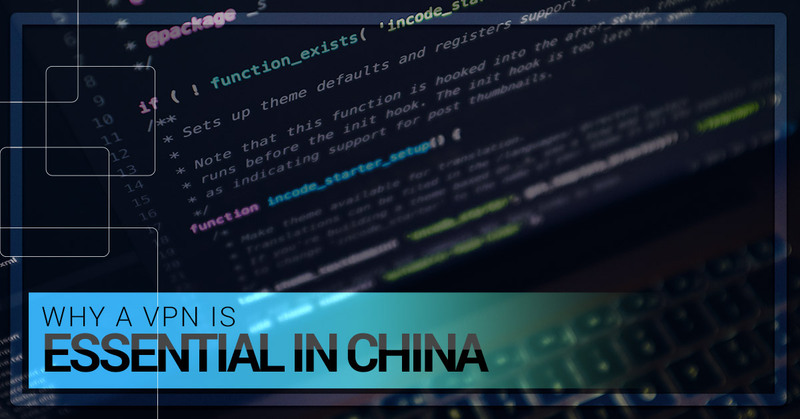 As it grew the firewall also turned into a method by which the Chinese government could promote and encourage technology development within its own country. Today, it blocks a myriad of different sites, including Google, Facebook, Twitter, YouTube, and even portions (or entire sites) of news outlets. Some countries redirect to an image like this one in Thailand when you try to access a firewalled webpage. Unlike some countries who let you know when you attempt to access a blocked site, in China you will likely just get an error message- which confuses some expats not in the know. **Countries such as Thailand sometimes have a page that tells you that you have attempted to access a blocked site. Before you begin bidding farewell to your friends and family on Facebook and signing off on Twitter and crying over YouTube you should know that there are ways to bypass firewalls. Even the renowned Great Firewall of China. Perhaps you have heard of a VPN before, maybe not. More than likely having a VPN in your home country is not necessary- unless you are weary of the surveillance efforts of governments (NSA & GCHQ). So what is a VPN? It’s short for Virtual Private Network. It’s a legal way to gain unrestricted access to the internet. The easiest way to explain its operation is that it creates a secure tunnel that encrypts your internet traffic. This is useful for several reasons. But the reason that expats use a VPN is to bypass foreign firewalls. Even the true Great Wall of China was able to be infiltrated and overran, the Great Firewall of China is no different. A screenshot of what you will see when trying to access Netflix overseas. The cool thing about using a VPN is that it not only allows you to get around the Great Firewall of China but it also allows you to see other sites that are blocked by the companies themselves. If you have ever tried to access Netflix or Hulu outside of your home country then you know exactly what I’m talking about. The sort of blocking that sites like Netflix and Hulu uses is known as geoblocking. It blocks access to its site from sources outside of a specified region. This mostly done as a business practice because sites like Netflix don’t buy worldwide rights to movies and TV shows, only regional ones. So this is a way for them to not infringe on the copyrights or violate licensing. A third reason to use a VPN is security. Using an unsecured WiFi network puts any information you transmit susceptible to being monitored by a hacker. The full encryption of your internet browsing via VPN prevents a third party from seeing what sites you are viewing online. This makes it invaluable for ensuring security when on public WiFi networks. As a recap. A VPN is essential in China because the government uses an advanced firewall known as the Great Firewall of China that blocks Facebook, YouTube, and Google among other sites. Some services like Netflix and Hulu incorporate geoblocking as well. The only way to access both firewalled and geoblocked sites is by using a VPN. And a VPN also gives provides security when on public WiFi networks.